What do successful web services like DropBox, AirBnB, Facebook, and Spotify have in common? They all used an MVP (Minimum Viable Product) to start their businesses. We want to show you how you can be successful too, by starting your software development project with a focus on building an MVP. Who is my end user? What need am I addressing? Will my idea actually meet the user’s need? Are users willing to pay to have their need met? What is the minimum set of features that can be launched to test my idea? Why Start with an MVP? Prevent overbuilding features and functions that may not be necessary. An MVP is iterative which means that you produce several iterations or versions of your software before you create your final product. Unlike the waterfall process which is a sequential process of design-build-deliver, an MVP allows for a number of iterations to help you discover what works and what doesn’t. It is dynamic, the end goal being to meet the user need in the most timely, cost-effective way. Agile software development is highly collaborative with daily meetings, teamwork, and seeking to understand what the client wants and needs. It includes deciphering the MVP, which in software development is the minimum set of features you can test with to gain user feedback. Agile expects and welcomes change, even late in the development process, and uses the build-measure-learn feedback loop. Agile software development saves time and money and eventually comes up with software the end user really wants. It provides a platform to engage with real customers early on in the process, who provide critical feedback as to what works and what doesn’t. By using the feedback loop you pay attention to what your end user wants and what will likely fail. Some entrepreneurs only want to pay attention to positive feedback, not realizing that negative feedback may be even more valuable than the positive, because it keeps you from going in the wrong direction! 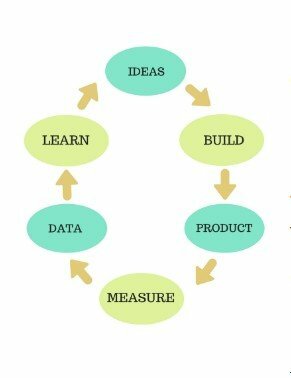 The build-measure-learn feedback loop is essential to lean software development when starting an internet business. If you would like to learn more about lean startup, we highly recommend the book, The Lean Startup: How Today’s Entrepreneurs Use Continuous Innovation to Create Radically Successful Businesses by Eric Ries. Hire an Expert for Your Next Web Service! Do you have a great idea for a new online business? Since 2003 we’ve built thousands of web projects for customers all across the US. 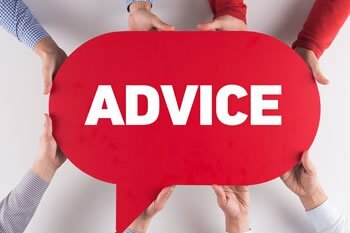 We can give you expert insights, suggest how you might approach things, and explain how to drastically reduce your risks. We will take you through the MVP process. Check out our Free MVP Planner to learn more! At ClearTech Interactive we provide end to end solutions from design, development, launch and marketing advice. Interested in a free 30 minute consultation to discuss your idea? This entry was posted in Mobile Apps, Web Development and tagged Get Prepared, Web Development. Bookmark the permalink.